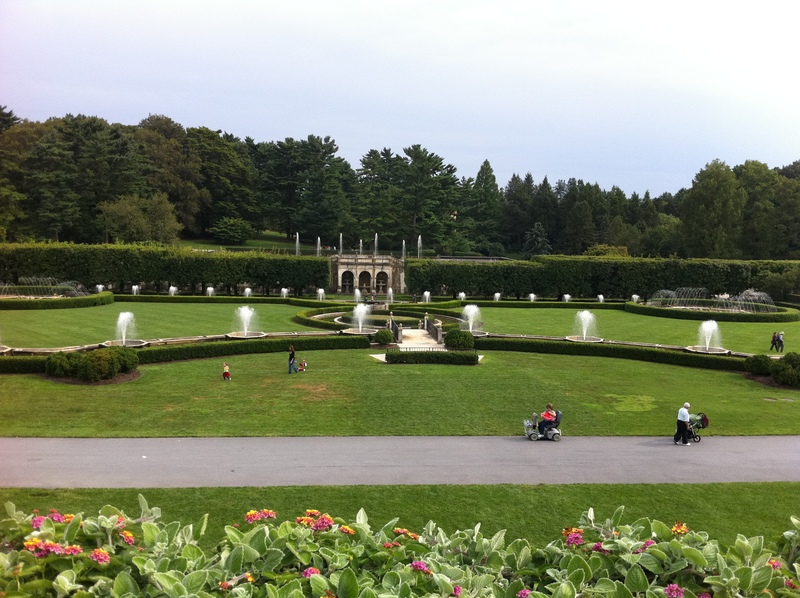 When we visited Longwood Gardens this past August, I was blown away by the sheer spectacle of it. Big. This place is big. Everything here is large, impressive and impeccably maintained. 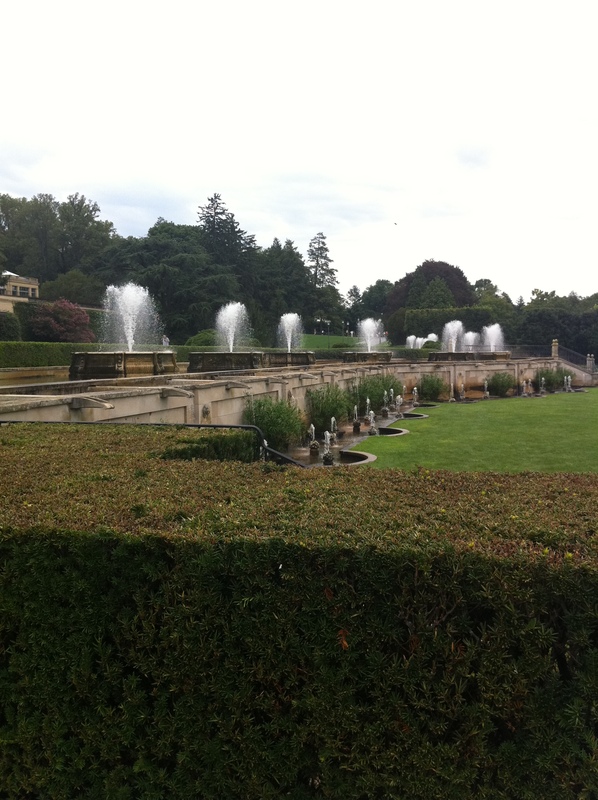 The sheer size of everything was manifested most impressively, I think, by the water features. The mechanics of making water dance seems to have mesmerized the rich and powerful for a long time. 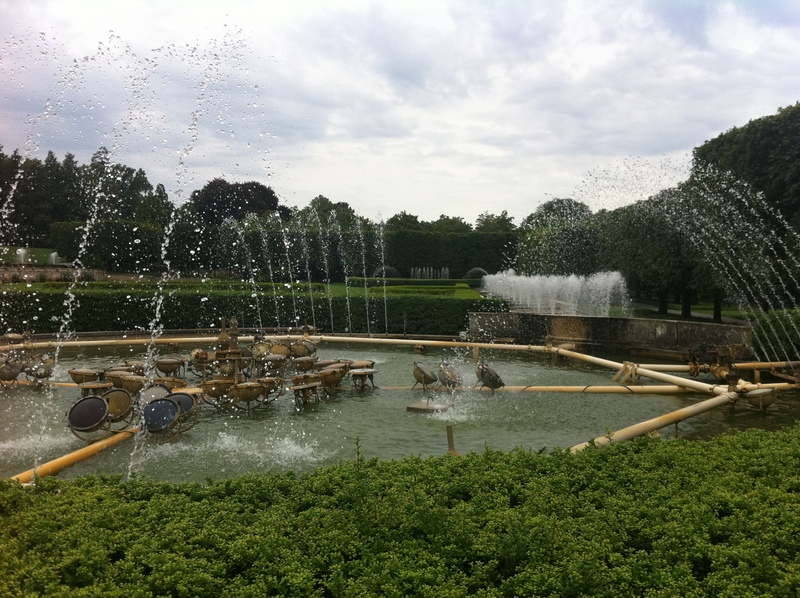 Think Versailles, the Villa d’Este at Tivoli, the Alhambra and today, the epitome of such ostentation, the Dubai fountain. Pierre du Pont was no exception and you can’t help but be appropriately impressed by his creation almost a hundred years later. 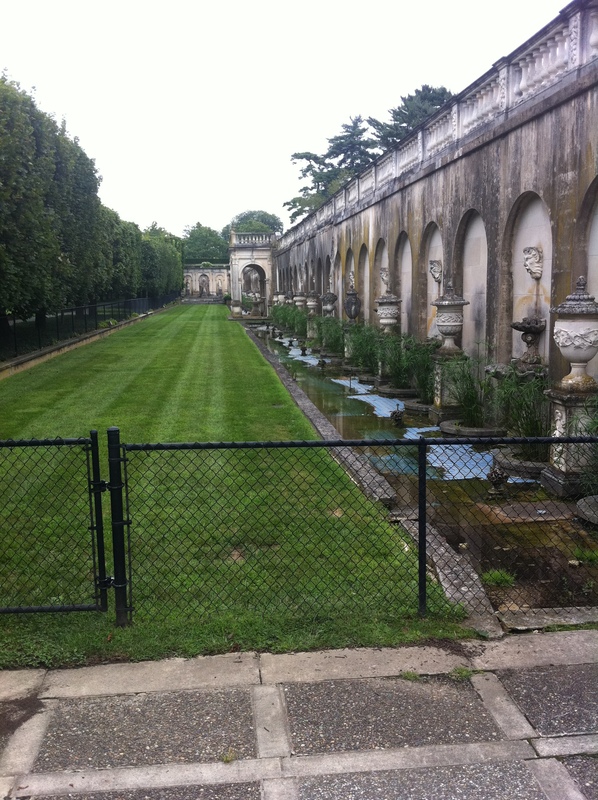 Although the pump house that hides the guts to this incredible display is discretely hidden from view behind an allee, the building is no less architecturally beautiful with its stone details: balustrades, urns on pedestals and spouting heads. It is obvious to all who visit that this kind of display demanded a lot of vision, ‘good taste’, expertise and of course, money. 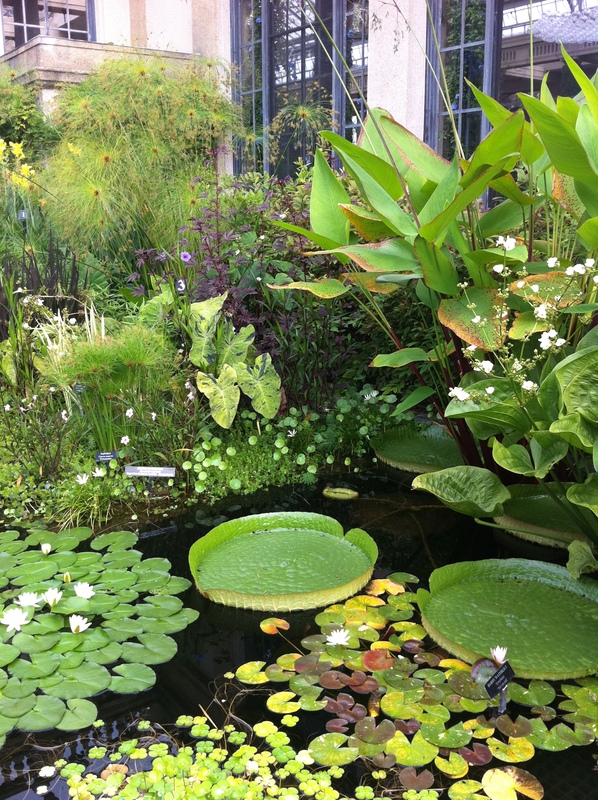 But the place where water and plants come together in the most impressive display is in the courtyard waterlily garden, embraced by the gigantic conservatories with their towering windows. 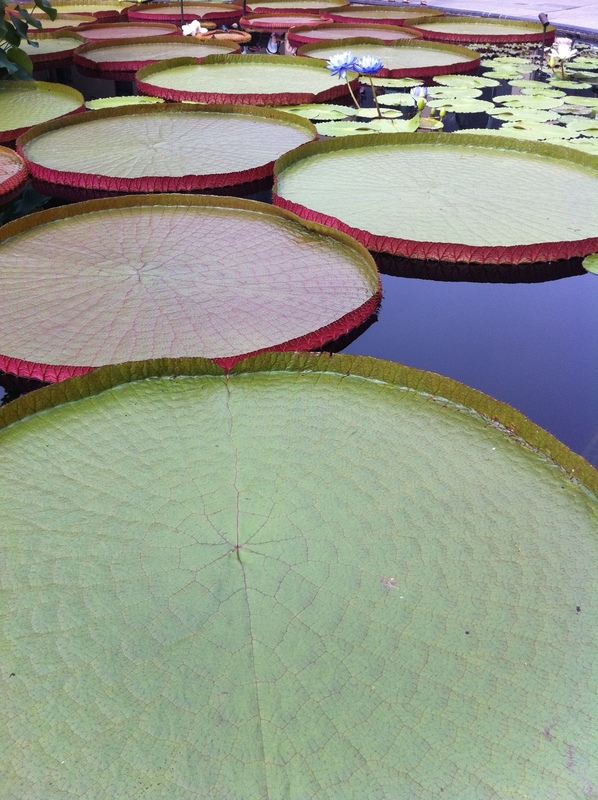 The tropical Victoria waterlilies above, with their hugely pronounced rims, represent the native species that come from South America, specifically from along the shallow edges of the Amazon and Parana rivers. 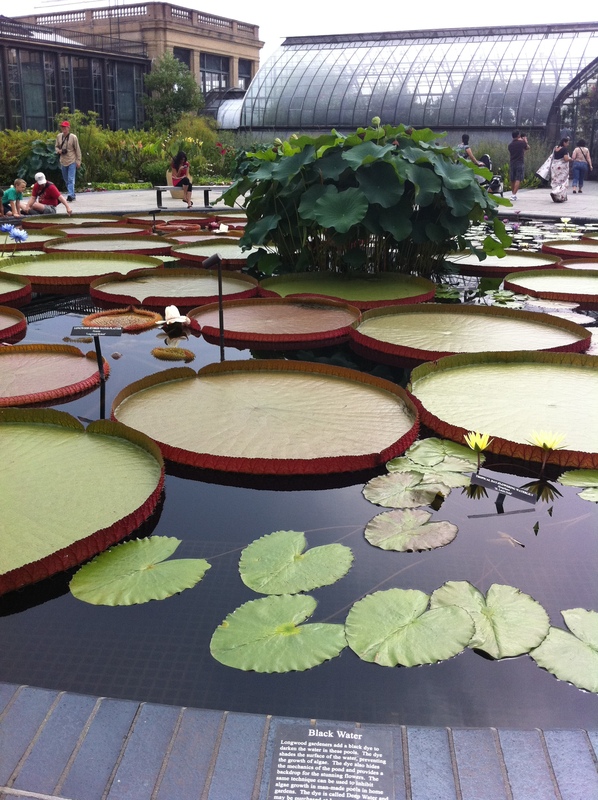 The two species (Victoria amazonica and Victoria cruziana) were ‘discovered’ by European plant explorers Aime Bonpland (France) and Robert Schomburgk (England) in the first half of the 19th century and were named in honour of QueenVictoria. 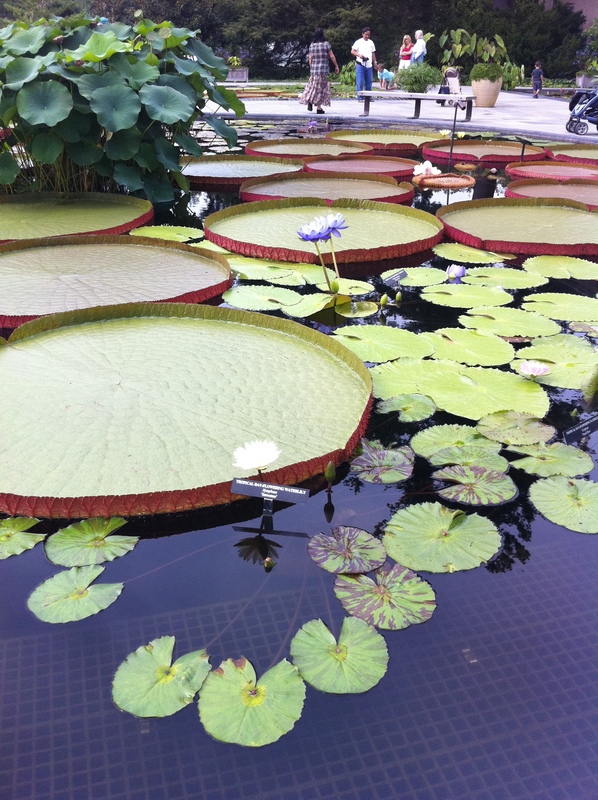 They are parents to the even larger waterlily that was hybridized at Longwood, and was given the name Victoria ‘Longwood Hybrid’. It is showcased in the circular central pool. 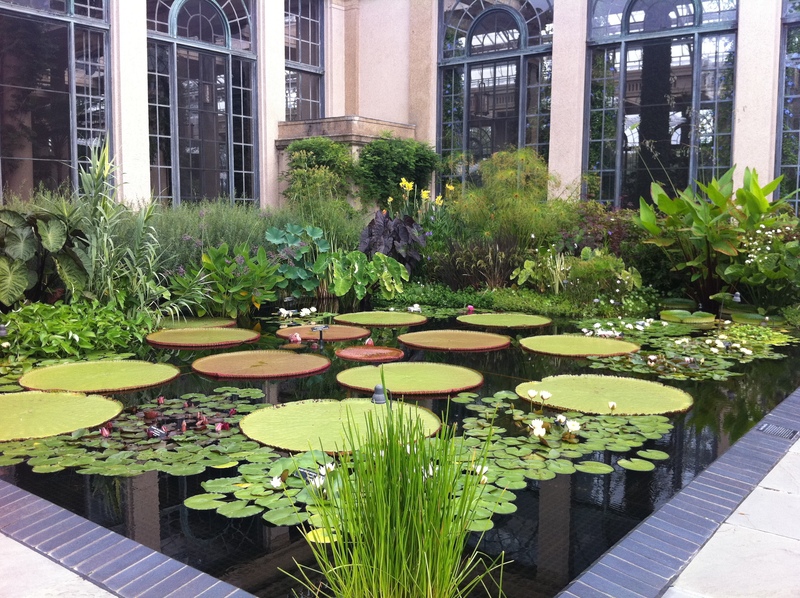 Believe it or not, this spectacular hybrid waterlily is grown from seed by the Longwood gardeners each year. 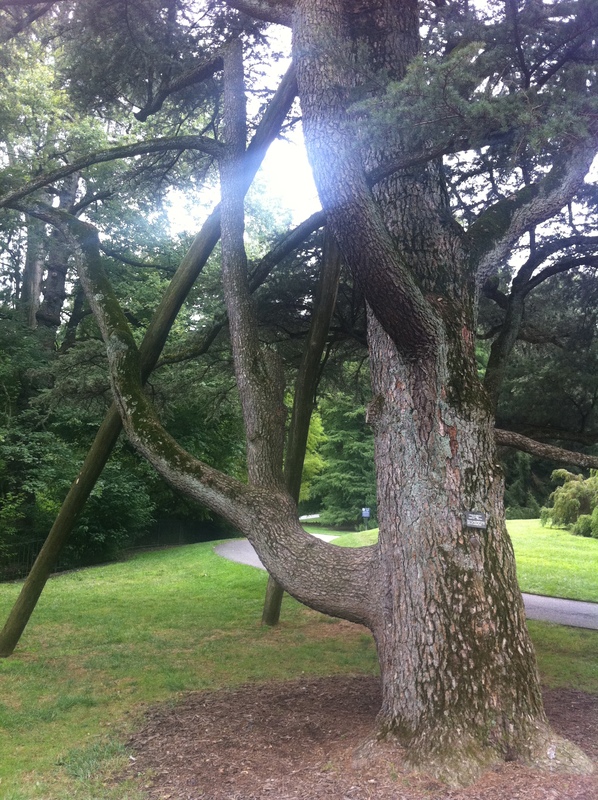 It is started in February and by summer, the plants are producing leaves that reach six feet in diameter! 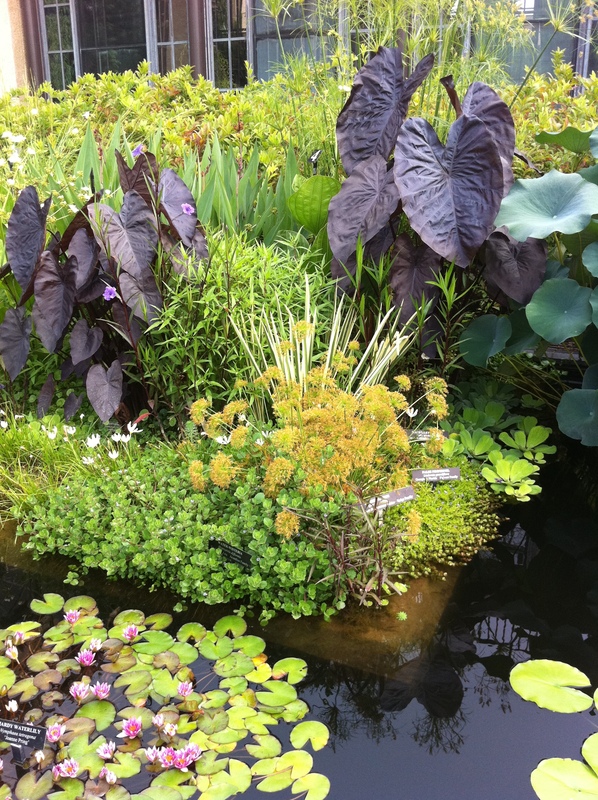 This aquatic horticultural display does not date from Pierre du Pont’s time. The pools that exist today were pre-dated by thirteen curving ones that were constructed in 1957. This arrangement was re-designed in its present configuration (four pools around the perimeter of the courtyard, with a central circular pool) in 1989. You’ll notice in these photographs that the water in these pools appears black, and the visitor can barely see any of the pots or other mechanics under water. 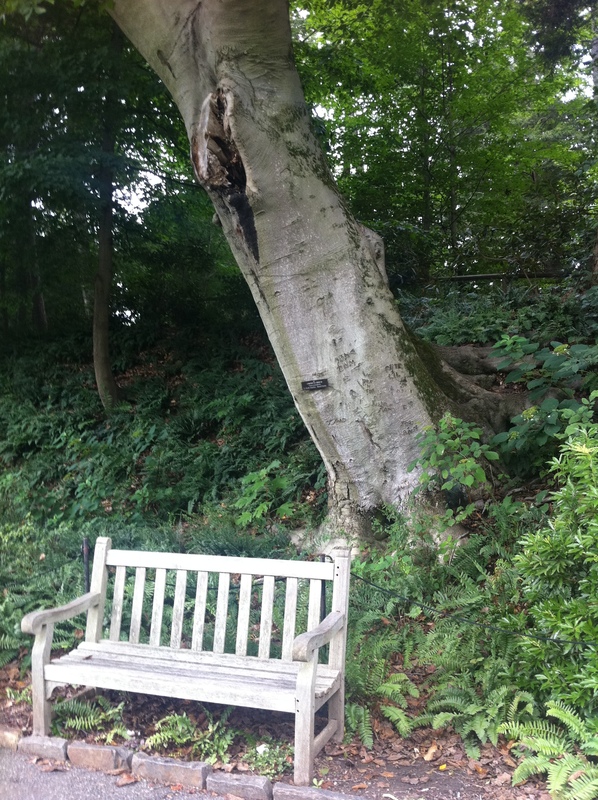 This is because Longwood uses an organic black dye (as does Wave Hill garden in New York City, and probably many botanic and public gardens around the United States) in order to slow algae growth. It also provides high contrast between the bright green foliage and the water. The pools also contain small fish (mosquito fish, Gambusia affinis) that feed on mosquito and other larvae in these 30″ deep pools. 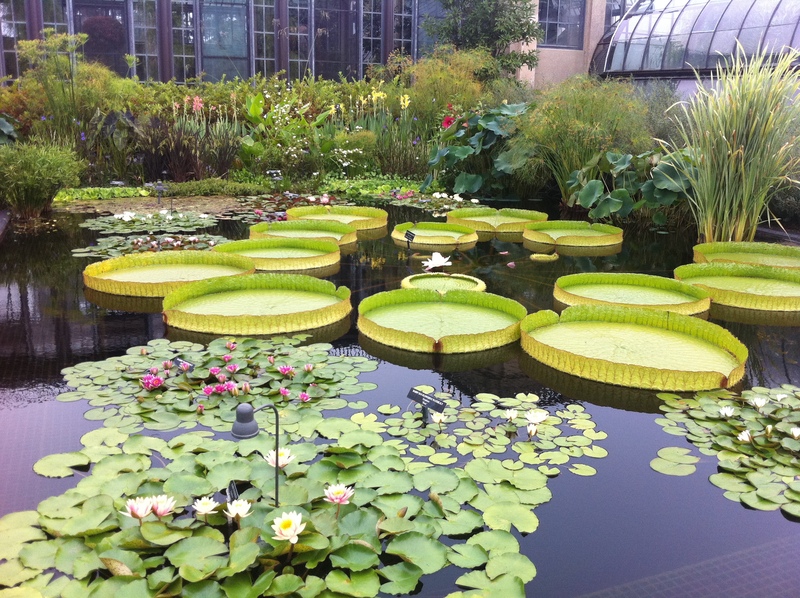 The outdoor waterlily display is open from early June through mid-October. 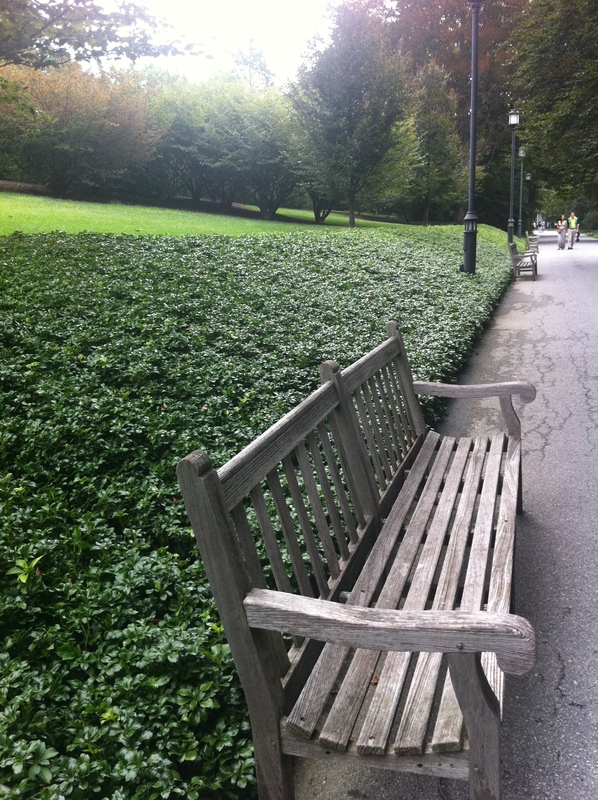 Peak bloom occurs mid-July through the end of September. Beautiful pictures! 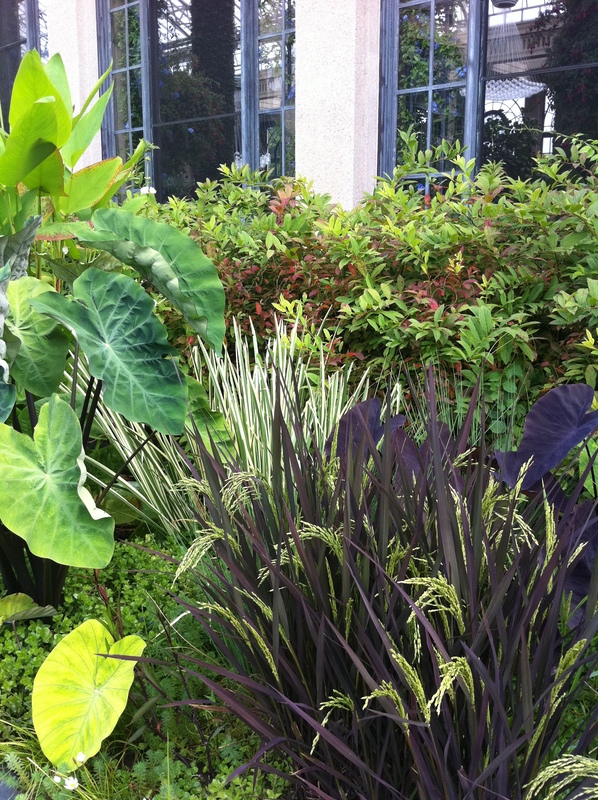 I love the purple-leafed rice plants in the second to last picture. 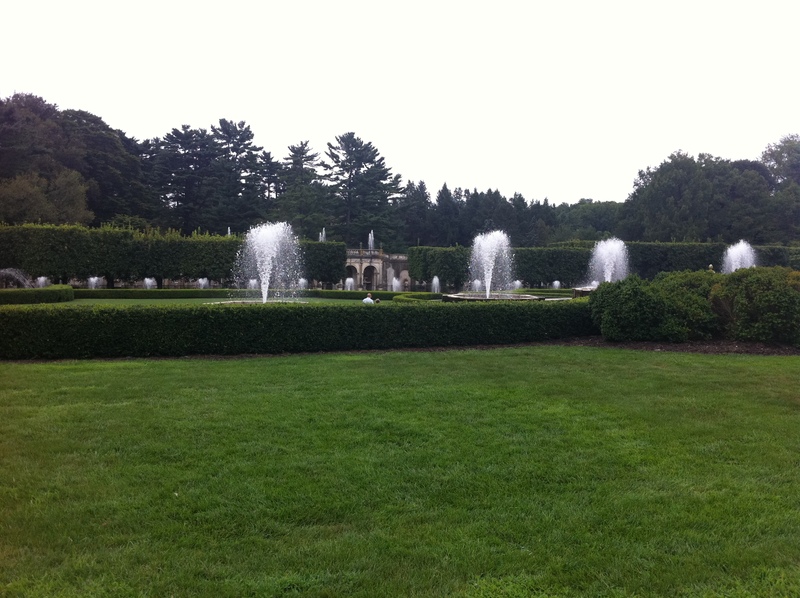 Thanks College Gardener :c) It’s hard not to get a good picture at Longwood! 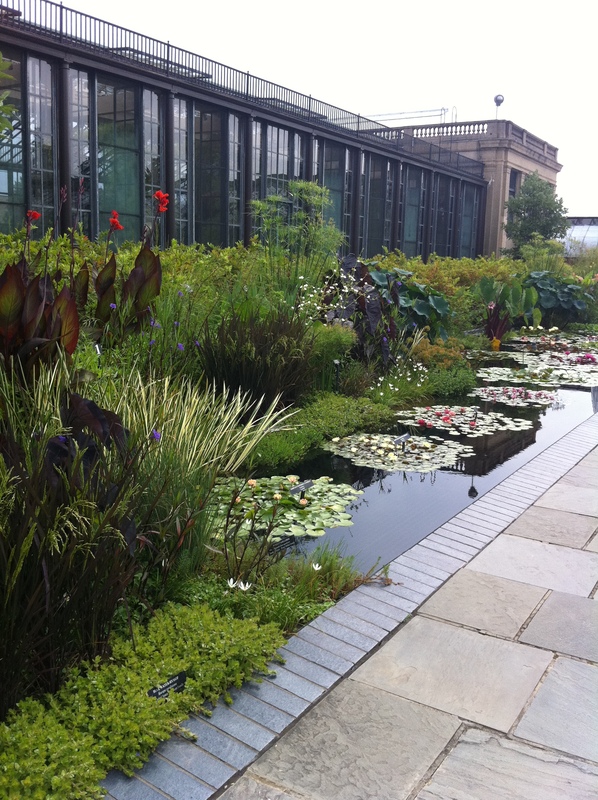 And yes, I love those rice plants as well – I’m going to have to try and source them locally….fingers crossed!